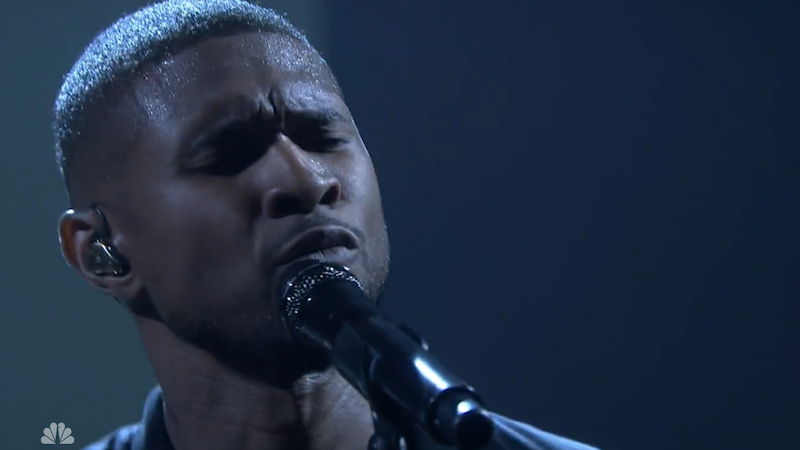 If you start watching this video and wonder what’s happening, it’s because Usher performed a slow motion version of his song “Crash,” one of my favorites of the year, Thursday night on The Tonight Show with Jimmy Fallon. Watch as he slowly and subtly owns the stage and does his Usher-like spin moves with grace. Though Jimmy Fallon was overly dramatic in his teaser tweet (“The performance from @Usher tonight will change the game”), watching Usher perform—when’s he not exhausting himself trying to outdo his former choreography days—is usually a special thing. Plus, the slow motion fits the song’s relatable concept of trying to savor a relationship that’s finite.